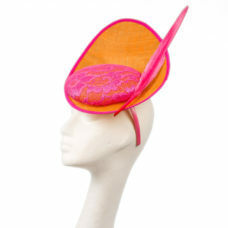 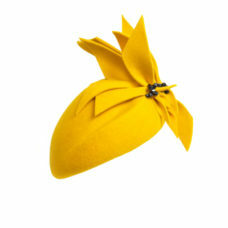 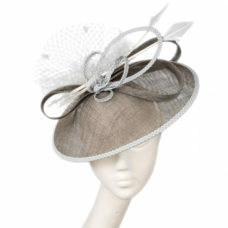 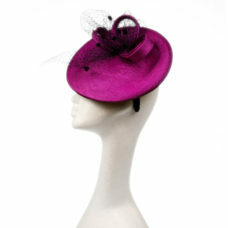 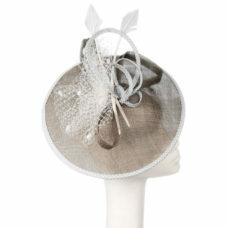 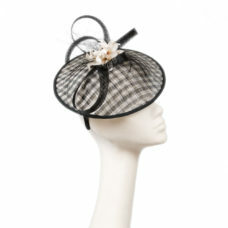 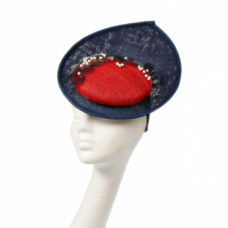 Victoria side tilt oval hat with button detail. 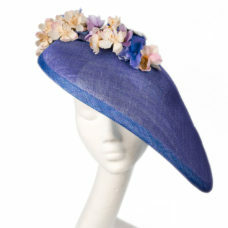 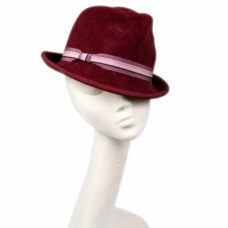 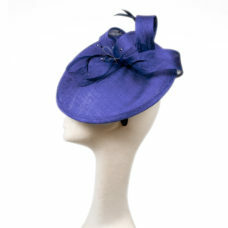 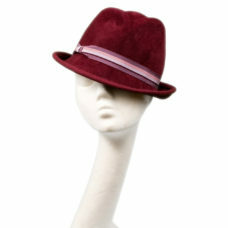 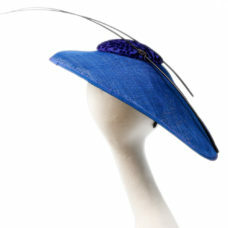 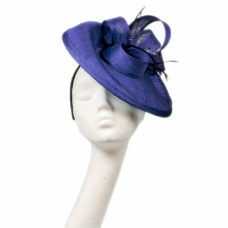 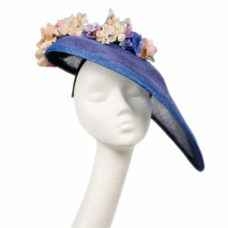 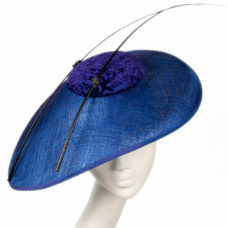 This hat shown in electric blue teamed with rich velvet devore button detail. 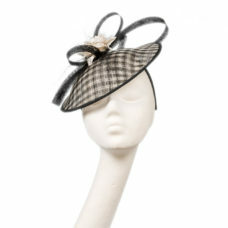 Hand beaded with multifaceted seed beads and black plumes mounted on wide black satin band. 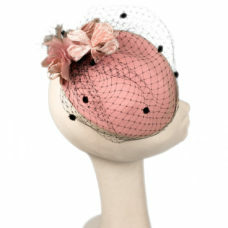 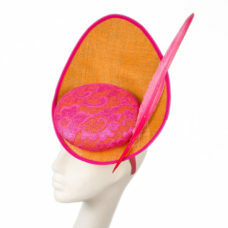 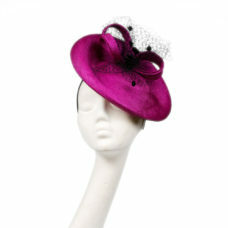 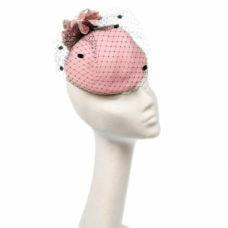 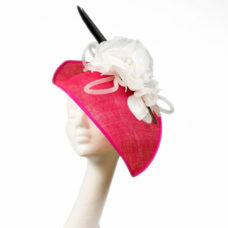 This fuchsia side sweeping leaf shaped hat is trimmed with white satin rose with crin rope detail and goose feather in black. 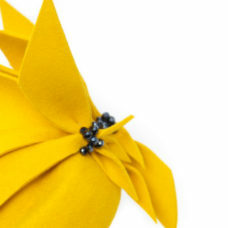 Mounted on a black satin headband. 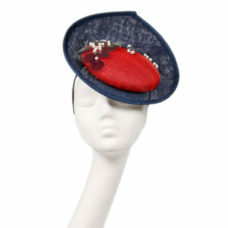 Slightly smaller in height to the Gladys Oval, this hat is shown in French navy sinamy with red button crown, hand beaded with large sequin and pearl detail. 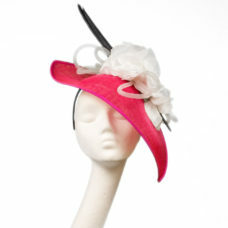 Mounted on a satin band.